The small and very scenic town of Oxford is home to one of the oldest and most prestigious universities in the world, but thankfully, you don’t have to be a genius student in order to enjoy the city. And if you are on a budget, visiting Oxford can even make you feel like a student. University towns, no matter how posh, are notorious for their student-priced eateries, so you can be sure to have plenty of places where you can find some cheap eats. Hungry students and travelers, here are the cheapest places to eat in Oxford. This shop can easily compete with even the best taquerias in San Francisco’s Mission District, and it definitely strives to be one of the best Mexican restaurants in the UK. The ingredients are fresh and very varied, and you can stuff your burritos full of all your favorite veggies and mean. Grab a filling and delicious burrito for about £5, not expensive at all compared to other similar places. This market dates back to the 18th century, and probably since its beginnings, it has been assembling a nice collection of cheap places to eat. You can eat a gourmet pie for about £5 at the Piemaster, munch on some cookies fresh out of the oven at Ben’s Cookies kiosk, or buy a meal for a paltry £2 at Fasta Pasta. For a traditional English breakfast, stop by Brown’s cafe (£5 for the breakfast, or £2 for a yummy sandwich). English cooking might not be as sophisticated as French cuisine, but what it lacks in style it makes up in taste. At the Big Bang you can get a greasy, hearty plate or sausage ‘n’ mash, but these are no ordinary sausages. They all come from local farms and butcheries, and the mash and gravy are excellent. If you want something more unusual, try some of the fancy sausages with pheasant and pear, or beef and Guinness. One meal costs about £5.50. This small Lebanese restaurant has been in existence for over 20 years, and it has been a hotspot for foodies for quite a while. The place specializes in small portions, which are still larger than tapas, and can make a filling meal if combined. Try the hummus, tabbouleh or falafel, as well as some lesser known dishes like spicy Armenian sausages, or deep fried balls of seasoned ground meat and wheat. Japanese food and home cooking are rarely found in one sentence when it comes to Japanese restaurants in the West, but Edamame does exactly that: it serves delicious, home cooked Japanese meals. Ramen, stir fires, breaded pork cutlets, and of course, sushi. No reservations necessary, and you can also get takeaway if you don’t feel like waiting for an empty table. One course costs up to £8. 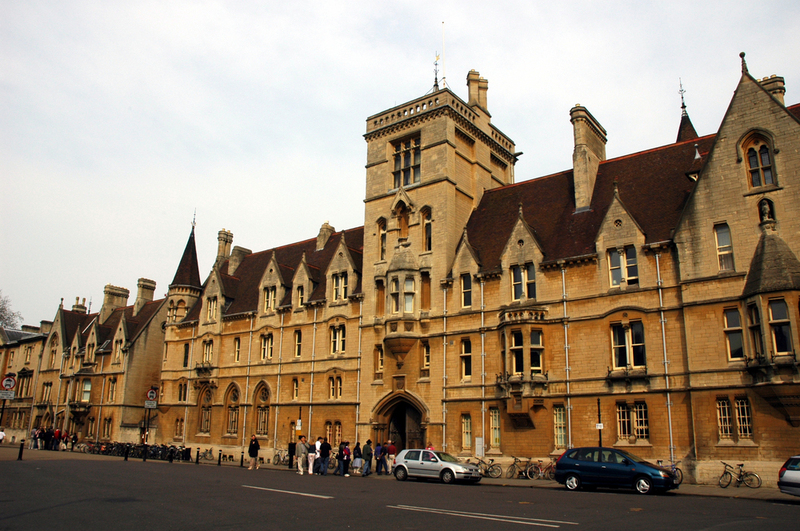 Is the food that good as the university of Oxford?